Wondering what you can do with your self-directed IRA? Learn what the investment options are for buying real estate in IRA from the best in the industry, David Moore! So what can we buy? If we talked about what we could invest in, we’d be sitting here the rest of the day. 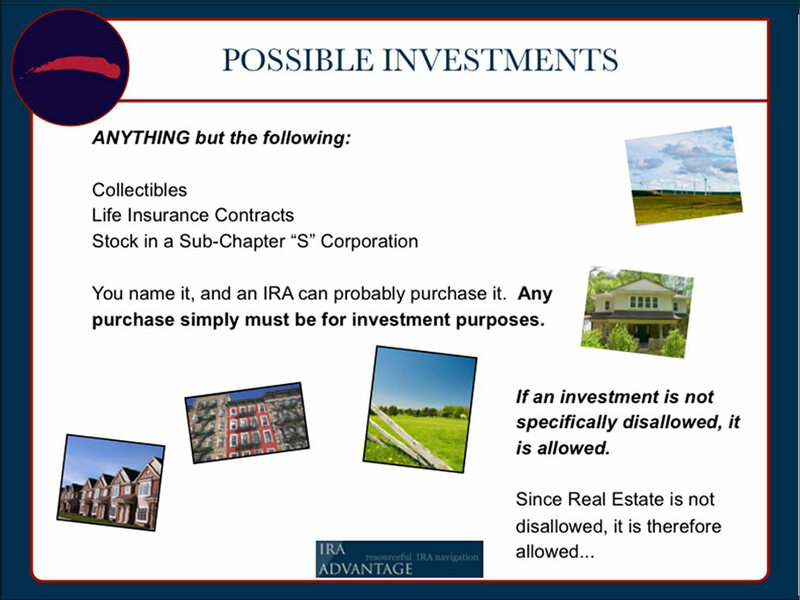 An IRA can buy anything other than collectibles, life insurance contracts, or stock in a subchapter S company. But you probably aren’t wanting to do any of those anyway. A 401(k) plan can literally buy anything other than collectibles. 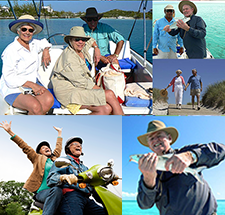 The deal is, when I look at retirement accounts, what I want to know is two things: what do you want to buy, and who are you transacting between, or for the benefit of? Two factors, that’s all we have to look at to be able to understand whether you’re going to be able to do something, or not. If we’re talking about 1031s for example, I look at four basic ideas. One, it’s got to be an exchange. Two, what’s given and what’s received have to be of like kind. Three, we have to move across, or up in value and equity. And four, we have to have continuity investing. That just means the tax payer that relinquishes receipt. 1031 has been around since the ’20s, but it’s sort of under attack right now with tax reform, just FYI. If you haven’t given our representatives a shout-out telling them you think 1031 ought to be saved, maybe you should. Go to our website, 1031exchange.com. and there’s a link there to save 1031. So that’s one of those things that’s out there, but if you look at it, it’s not complicated. What are we gonna buy? An IRA can buy, like I said, anything other than collectibles. That means life insurance contracts, or stock in a subchapter S, and 401(k)s can buy anything other than collectibles. When we’re looking at these things, if it’s not specifically prohibited, it’s therefore allowed. Real estate is not prohibited, therefore, it is allowed. This hasn’t changed, it’s always been possible.